4. The Body Shop Moringa Beautifying Oil – Although this is a multipurpose oil that can be used on the face, hair and body, I’ve been using it more as a facial oil hence its in this category. Read review here. 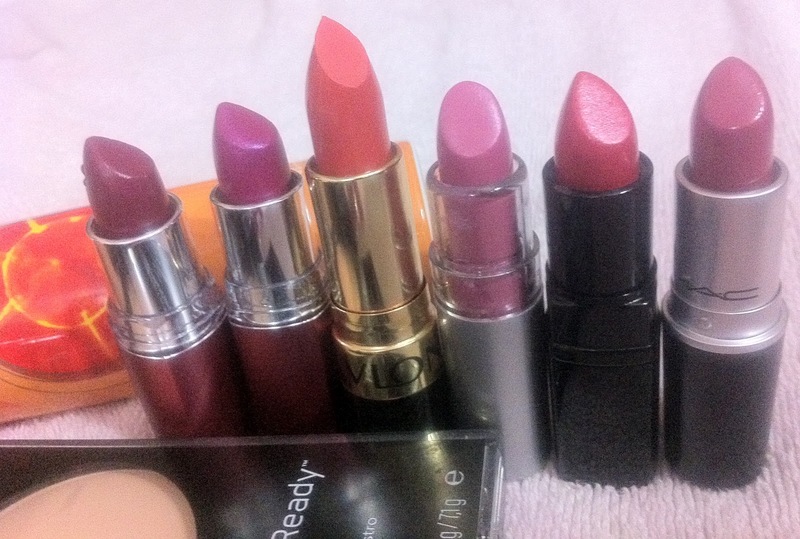 3. e.l.f essential lipstick in Classy. Read review here. 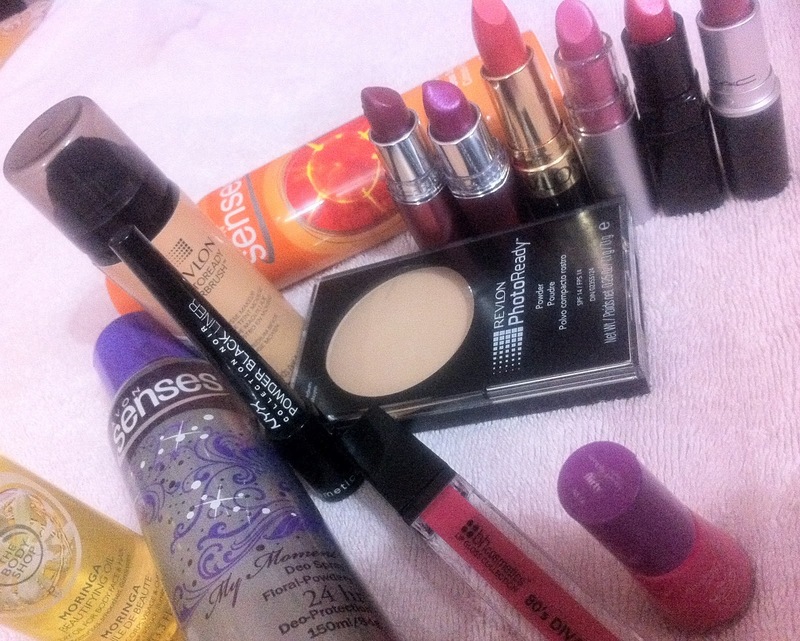 As usual, my lipsticks outdo all the other products but I didn’t realise that I just bought one liner this month! Gotta show my peepers a lotta love next month :))….Here are the pics. I’ll be putting up reviews of these products soon but if you want to read the review of a particular product first, let me know. I would also love to know what you hauled in June. Do write in with your comments below. 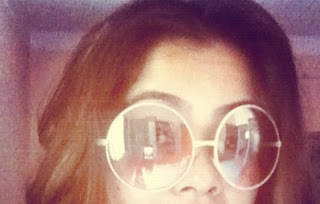 Here’s a peak at my current fav shades….bought these rose tinted ones for Rs 800 from majorbrands.in. Its an Aldo….Like? What is your current fav shades? Do comment and let me know. I’m back with a roundup of some of the sales that are going on in the virtual beauty world, both national and international (have found some real beauties!). 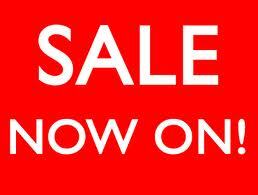 This will be a regular feature on my blog every Friday, so keep watching this space for all your sale news…Shop On! Stylecraze – Flat 10% off on all e.l.f products and BeYu cosmetics products. Goodlife – 20% off on Roots hair brushes, 10% off on all eye makeup products, Upto 20% off on Basicare products, Flat 10% off on all Jovees products, 10% off on skincare products. Flipkart – Most of the products here are being sold at a discounted rate. I’m definitely getting something from Deborah Milano since I can save upto 20% off and from Diana of London where I can get upto 15% off! Healthkart – NYX products are upto 35% off, 5% off on all Lotus Herbals makeup products, 10% off on all Revlon products. 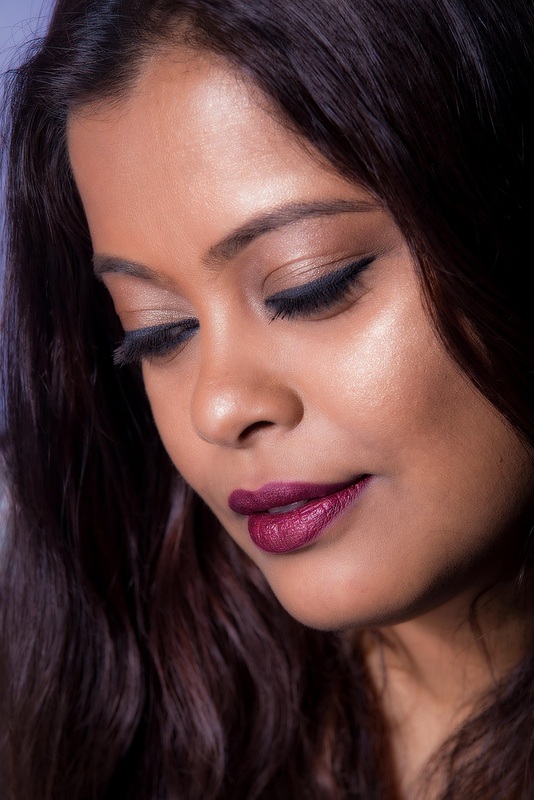 All Cosmetics Wholesale – They specialize in providing discounted quality makeup brands like MAC, Urban Decay, Chanel, Stila etc at wholesale and below wholesale pricing. A clearance sale upto 50% off is currently going on for most of these products. Although the clearance sale looks very tempting, I’m not too sure about how old these are though. 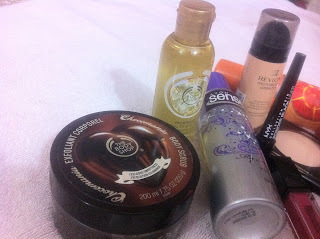 Beauty.com – This shop sells various brands like philosophy, Orly, Elizabeth Arden, Urban Decay etc. They have a clearance sale going on for some of these brands where you can save upto 20% off. Beauty.com has partnered with MyUS to provide service to customers worldwide. MyUS.com membership can help you to save up to 70% on international shipping rates. They can provide you with a US street address, receive packages on your behalf, and then ship your order overseas. MyUS also helps prepare customs paperwork for your shipments.Check out their website for more details. That’s all for this week…Stay tuned for the next edition on Friday 6th July.. I Want To Feature You on My Blog! 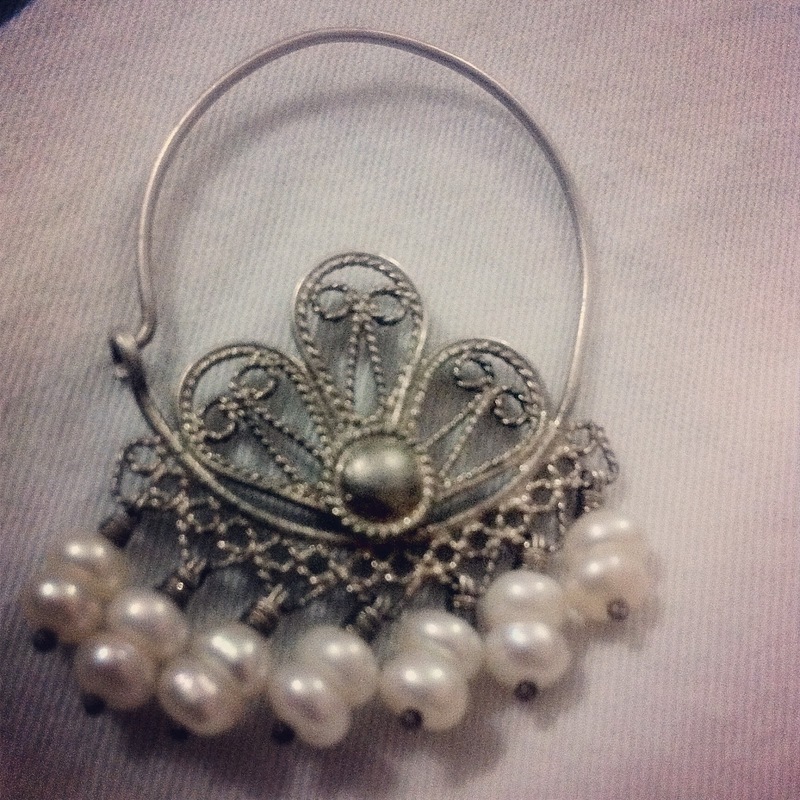 Apart from a being a beauty and makeup maniac, I am also a huge fashion junkie. One of my fav pastimes is to browse through beauty and fashion magazines/websites and I can do this for hours on end!! If you are interested, please send me an email with your pics and some info about yourself and the product to poutpretty@gmail.com. I would love to put it up. Everyone is welcome.Indians, Non-Indians, young, old…no discrimination at all! Looking forward to your enthusiastic participation…Don’t disappoint me please pretties :)..Give a new blogger some encouragement :P..
To start off, here’s me sharing my current fav earring..its a silver filigree with pearl drops that I picked up from Tashkent. Like? P.S – Lets share some of our mutual love by following each other? What say? If anyone had told me about a year back that I would be going bonkers over nail polishes, I would have given them a whack on their heads. Seriously!…I used to be a certified nail polish hater!!! I hated any color on my nails and always kept them natural. Maybe a clear polish at times. But then something happened…I started looking at all your lovely blogs, your nail art lured and enticed me no end and I thought ok why not try one and see how it goes? 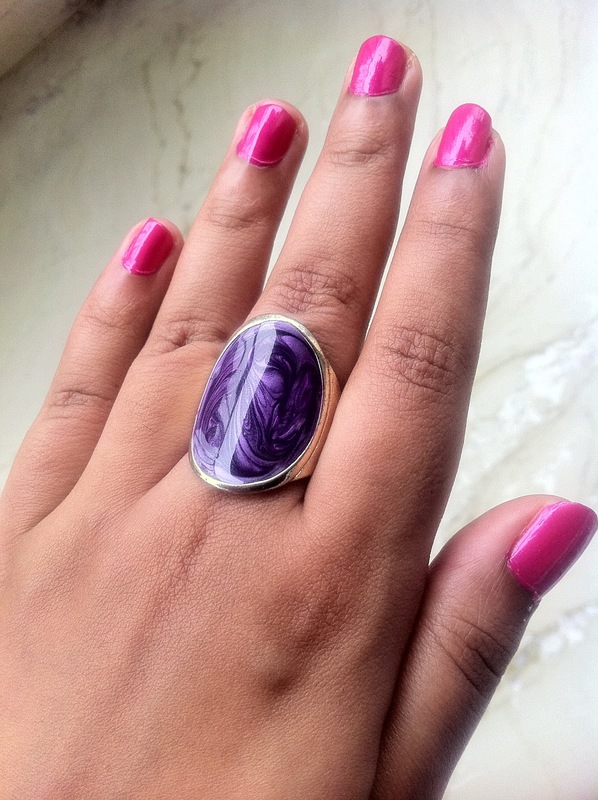 I bought Maybelline’s Colorama in Coral Chic and was hooked…..And thus started my love affair with nail polishes…. Well now that I’ve told you my story lets get down to the real reason why I’m writing this post. And the reason is to let you know that I have finally found what I’ve been looking for. A super hot pink nail polish and guess what? Neither is it from any high-end brand nor ridiculously expensive. Well ladies, let me introduce you to my latest love..Avon’s Color Me Pretty Nail Enamel in Flirty! Let me share why I’m lovin this beauty..
1. 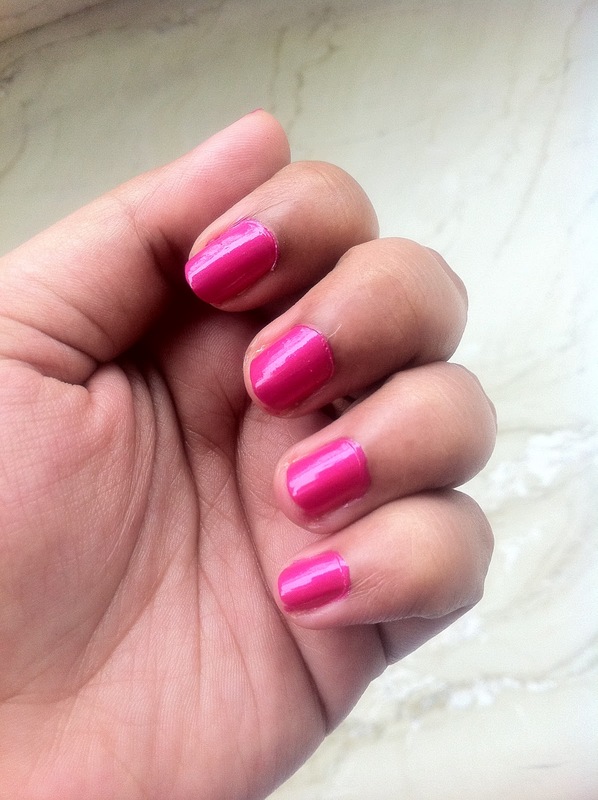 Color – A HOT HOT Pink which will look good on anyone’s hands despite their skin color. One coat is bright. Two coats is whoaaa…This will also be a very good base for those who are into nail art. 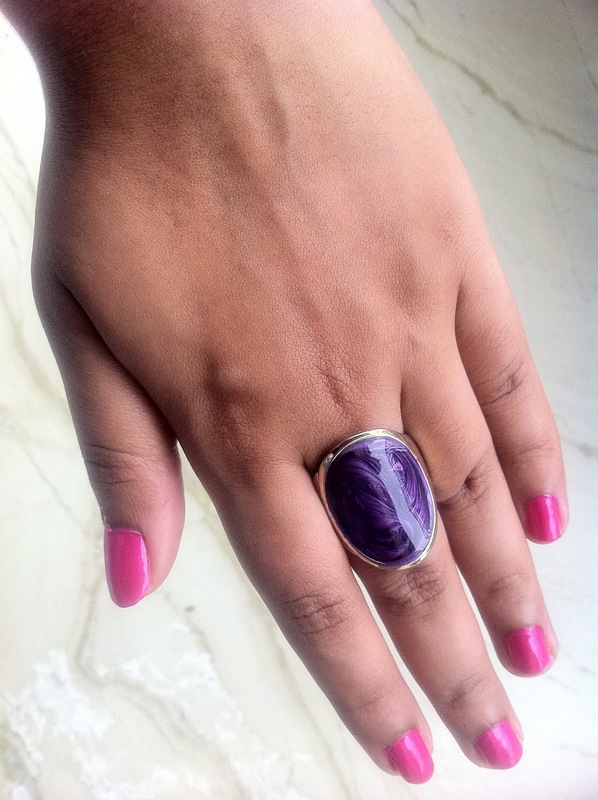 If you love bright pinks on your nails as much as I do, go for this. 2. Price – Flirty is really affordable. Think I bought it for about 60 bucks! 3. Texture – Won’t say its the creamiest polish around but I quite like how smooth it is to apply. No ridges on the nails. 4. 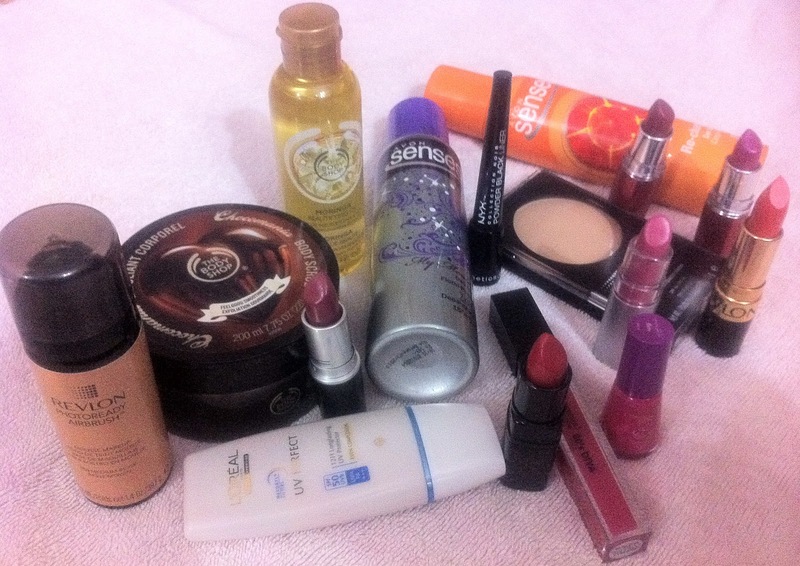 Staying Power – Beats most of the pricey brands in this department. I’ve been wearing this for 4 days now and no chipping! What I did not like was the really tiny bottle. The packaging is pretty cute but the quantity is not. Would have loved to have more of you Flirty!